Five couples' intertwined lives are turned upside down by the challenges of impending parenthood. Over the moon about starting a family, TV fitness guru Jules and dance show star Evan find that their high-octane celebrity lives don't stand a chance against the surprise demands of pregnancy. 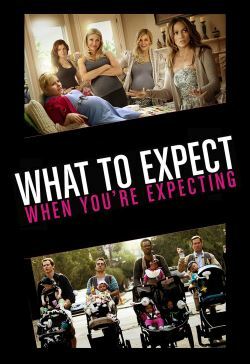 Baby-crazy author and advocate Wendy gets a taste of her own militant mommy advice when pregnancy hormones ravage her body; while Wendy's husband, Gary, struggles not to be outdone by his competitive alpha-Dad, who's expecting twins with his much younger trophy wife, Skyler. Photographer Holly is prepared to travel the globe to adopt a child, but her husband Alex isn't so sure, and tries to quiet his panic by attending a "dudes" support group, where new fathers get to tell it like it really is. And rival food truck chefs Rosie and Marco's surprise hook-up results in an unexpected quandary: what to do when your first child comes before your first date?